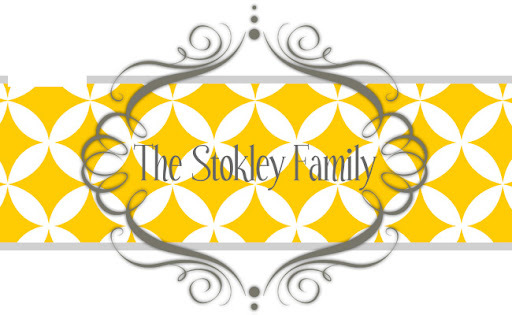 The Stokley Family: It's Fall Y'all! Today has been the most beautiful Fall day! We started the morning off by going to Mom's church for Homecoming and Blakeley's first Sunday. I love the church that Ryan and I go to but there's something about going back to where I grew up. It's small, traditional and on a 2 lane country rode. It holds so many great memories for me. It's where I grew up, it's where I went to school, it's where I met my husband and where we got married. I love looking around and knowing everyone in the church. Although it's a little to traditional for us now it'll always a hold a special place in my heart. After church we headed to Aunt Lisa's to love on this sweet sweet baby! We took the kids outside to take some pictures of them and I LOVE how they turned out!! Ladies and Gentlemen, you are looking at the 3 most beautiful kids on the planet! It was such a beautiful day so we headed to the pumpkin patch. Whitney found the cutest mini pumpkin. It's Fall Yall and one of my most favorite months of the year!